At a time when the world is at loggerhead on the global water issue, Egypt is playing its part in conserving water through the latest technology. The middle eastern country has been in news for its latest invention that shelves the water usage to almost half in rice irrigation. Researchers and experts in Egypt have come up with a promising machine that could help reduce the amount of water used in cultivation and irrigation of crops especially on rice. It is hoped that this latest invention will help to curb the problem affected billions of life every year. 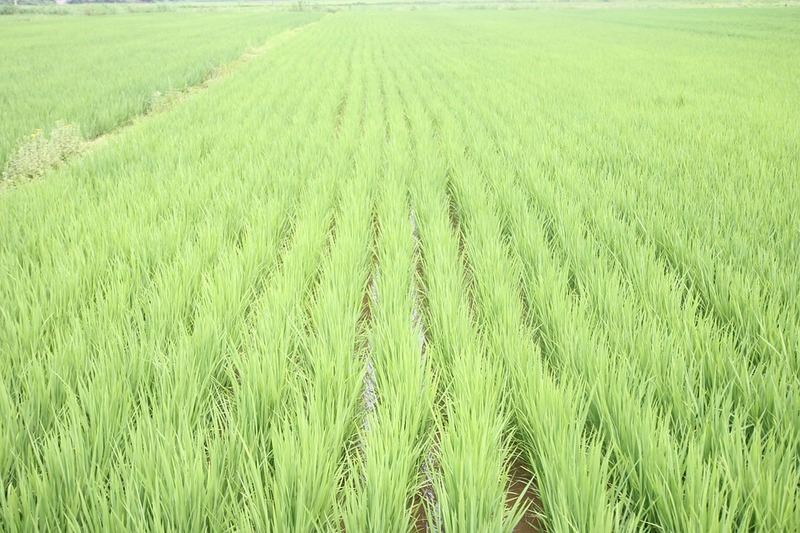 The cultivation of rice is costlier especially in terms of water usage. It takes 1000-3000 liters of water to produce one kilo of rice. Now imagine how much water will be needed for the cultivation of rice crops on hectares of ground. But, with the latest machine, farmers will continue to irrigate rice without worrying about water consumption. How Does The Machine Works? This unique machine sows rice seeds mechanically saving an almost half amount of the water normally utilized for irrigation and fertilizers in cultivation. The machine has been designed by Mohamed El-Hagarey. The latest innovation draws ‛V’ shaped lines with a width of 20 cm on the field. It sows rice seeds on the field automatically. This way, the machine reduces the water usage as the water level is maintained on the V-shaped lines instead of showering on the field. This method uses half of the water used in the traditional method of cultivation. The device has already been tested in a field known for rich rice cultivation – Kafr el-Sheikh governorate. During the testing, the machine shelved the amount of water used in the cultivation by half. Besides, it also increased crop yield by 4.6%. This slight increase in the crop yield has not attracted many and therefore, it is believed that the manufacturer of the machine might need to work more on the product to make it a perfect fit to buy. The maker of the machine has confirmed that further developments will be carried out on the machine to make it more compatible for the Egyptian farmers before commercially launching it. The machine has received a warm reception because of its ability to reduce water consumption in irrigation without hampering the production. The machine is being viewed as a blessing for farmers. However, there is just one hurdle that the country needs to overcome to make this machine available to the farmers. This promising machine is a little expensive. Its cost of nearly US$5000 is quite high for farmers. The government can aid by proving subsidiary on it. But, it is quite early to say anything as the machine is still in the process of being commercialized. The Egyptian farmers get water for free and therefore, there are not many ways to lure the farmers buy this machine as of now. If the government agrees to support the farmers financially, it may convince them to buy the machines. The machine can help the country solve its water problem and may even use the saved water for the cultivation of other crops. The country uses more than 10 billion cubic meters of water every year in the cultivation of rice. 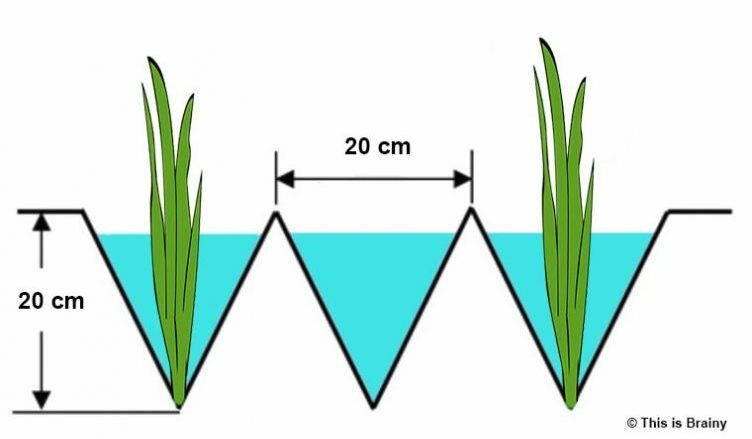 The water used in rice cultivation is the half of its total water resources. Egypt neither stops cultivating rice nor can it force farmers to buy the machine. The government is in a tight position and it is quite vital for it to take the right decision. A slight delay in its decision may cause huge losses to the country. Egypt has a limited natural source of water with the Nile river being its prime source. The river water is used for irrigation, production, and drinking. The country has recently experienced population boom threatening the water source and leading to water scarcity. According to various online reports, the country is believed to be facing a water deficit of nearly 7 billion cubic meters. Looking at the current scenario in the country, the United Nations has already alarmed the country of the upcoming water shortage. According to the United Nations, Egypt may run out of the water by 2025. There are many countries that are facing imminent water shortage with Egypt being one of them. The other countries facing water scarcity includes Brazil, Iran, India, the US, China, Jordan, Libya and South Africa. It is vital for the government of each country or the international organization to step in to help farmers cultivate without worrying about water. The latest invention can save a lot of water and if commercialized effectively, the machine can also be introduced to other countries facing a shortage of water.